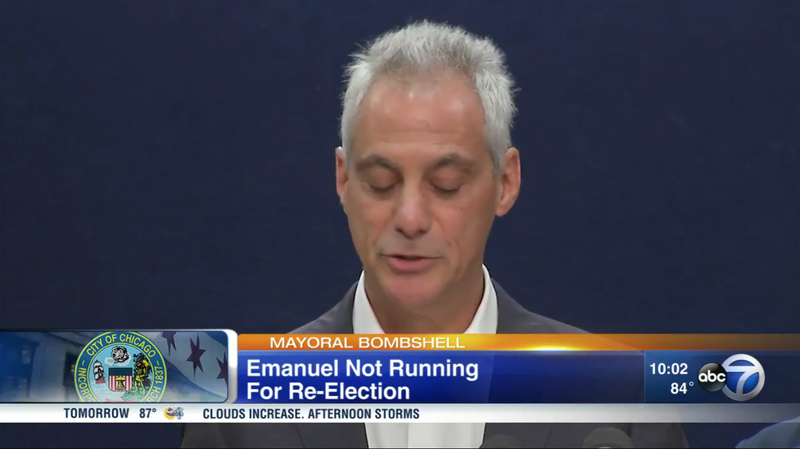 After two-term Chicago Mayor Rahm Emmanuel backtracked on his plans to seek a third term in city hall, Chicago TV stations went all out Tuesday, Sept. 4, 2018. 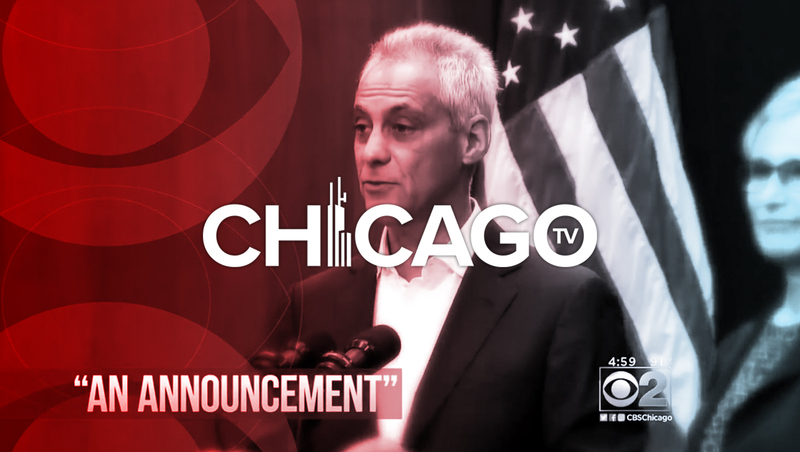 WBBM, the CBS O&O, used a lower left graphic with the words “City Hall Shocker” and city flag background and, like the market’s other stations, had reporters stationed outside city hall for the early afternoon and evening newscasts. 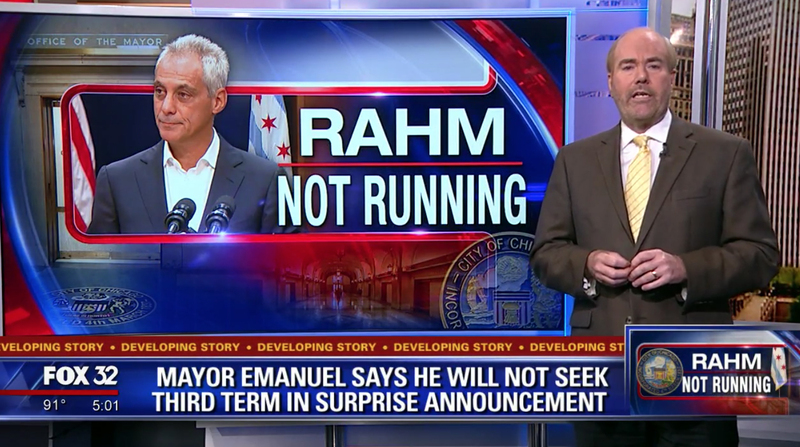 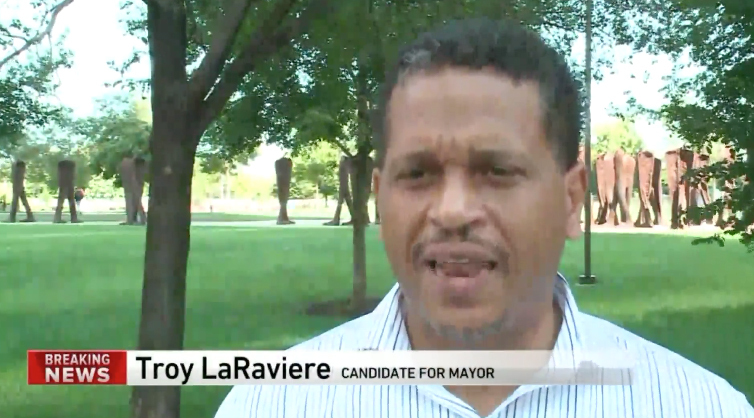 Fox O&O WFLD used the tagline “Rahm Not Running,” which was used on on-set graphics, in the lower right corner of the screen and the O&O graphics package “developing story” ticker. 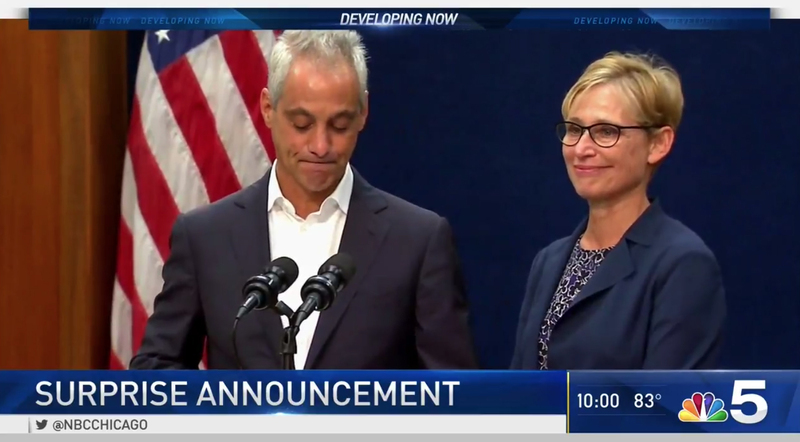 WGN, the station’s independent station, stuck with its normal “Breaking News” graphics along with a wedge shaped Chicago-flag themed look.